This monograph brings together the proceedings of a workshop held in Geneva, Switzerland in March 2000 under the joint sponsorship of the University of Sheffield and F Hoffmann La Roche Ltd. Chapters by leading scientists present the latest research on biochemical markers of bone remodelling as well as their clinical applications in the management of osteoporosis. 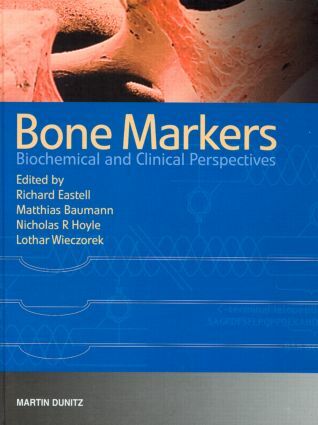 The text focuses on four major areas of interest: 1) potential candidates for markers of bone remodelling, 2) sources of biological bone marker variability, 3) use of biochemical markers in monitoring treatment of osteoporosis, and 4) use of biochemical markers in the prediction of bone loss and fractures. The book also includes transcripts of the lively panel discussions from the Geneva workshop.